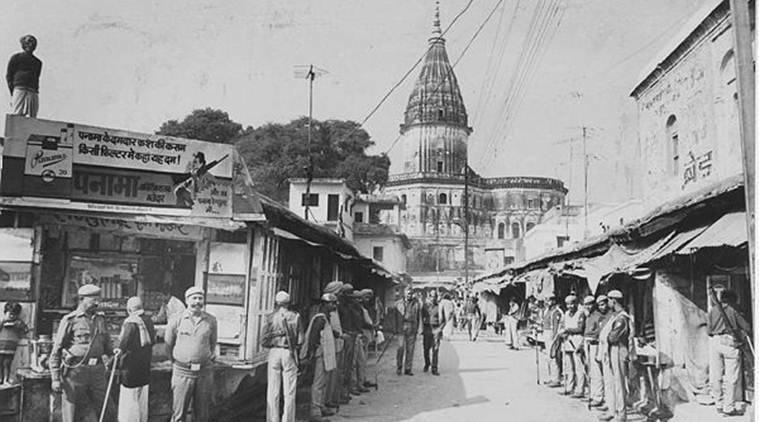 History Of Ayodhya Ram Mandir: As we all know the dispute of Ayodhya Ram Mandir and the Babri Mosque is now going for a quite a long time now. The dispute hails from the city of Ayodhya located in Uttar Pradesh, India, the city that is said to be the birthplace of Hindu God Shri Ram. As Lord Ram belongs to the city, the Hindus built a temple dedicated to Lord Ram called Ayodhya Ram Mandir in the city. Then Mir Baqi who was the Mughal King Babur’s general destroyed the holy monument and built a mosque in place of that called the Babri Mosque. This gave birth to an extreme rivalry between the Hindu and the Muslim. The rivalry and dispute were obvious as Mir Baqi has destroyed something that was related to the Hindu religion and in order to disrespect the Hindu religion he destroyed the temple and built the Babri mosque on its place. Somehow both the communities were doing their prayers alongside. The Muslims used to go inside of the monument and the Hindus stayed outside of it and prayed Lord Rama. But in 1885 the Nirmohi Akhara head filed a petition in court that asked the permission for Hindus to enter the place and worship Lord Rama and consider the land as the land of the temple. After many years a local also filed a petition asking the court to let Hindus worship their god in the mosque where the idols of the Hindu god were installed. The court thereby divided the Babri Mosque into three parts one for Hindu, one for Muslim and one for Nirmohi Akhara. The dispute is still going on whether the place should be dedicated to Ayodhya Ram Mandir for the Hindus or the Babri Mosque for the Muslims.